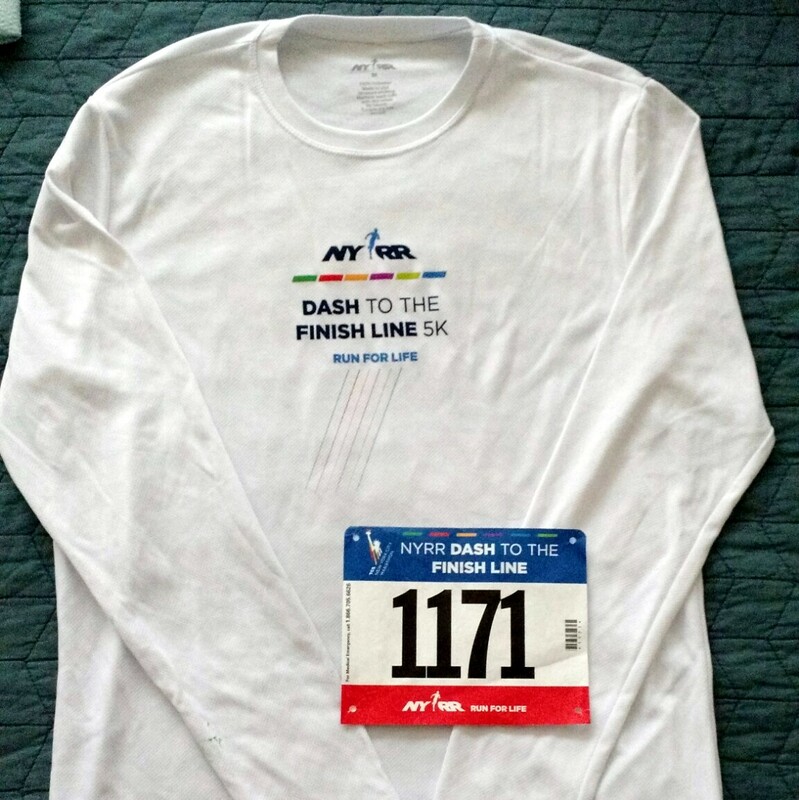 The New York City Marathon is hands down my favorite of the races I've run. The city, the crowds, the course, the organization - all of it was amazing. I loved being part of the Every Mother Counts charity team and running for a cause; this was the first time I'd ever fundraised for a race. Many of you donated to my EMC fundraiser, and I want you to know that both I and Every Mother Counts are exceptionally grateful for your contributions. The team has raised $335K so far and some donations are still coming in! Kevin and I arrived in NYC on Thursday evening, and on Friday morning we joined the Strava group shakeout run at Central Park. 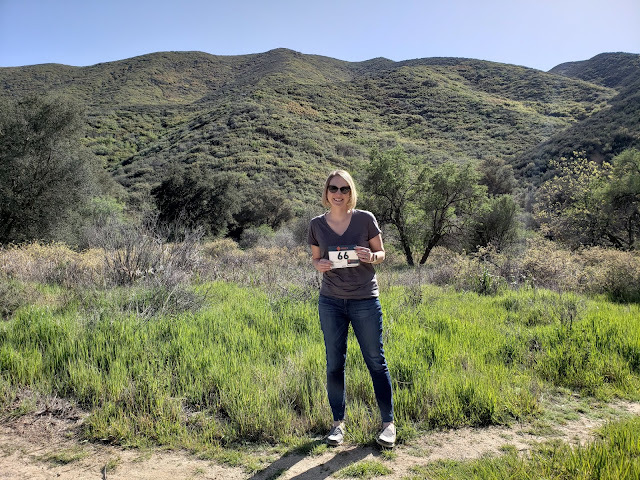 I'm a big fan of using Strava to track workouts, and it was fun to meet a few of the employees plus many other runners. We did a 3.6 mile loop in Central Park and then headed to coffee together. Strava also gave out awesome swag from their Sprinter van near the expo! Kevin and I in Central Park. 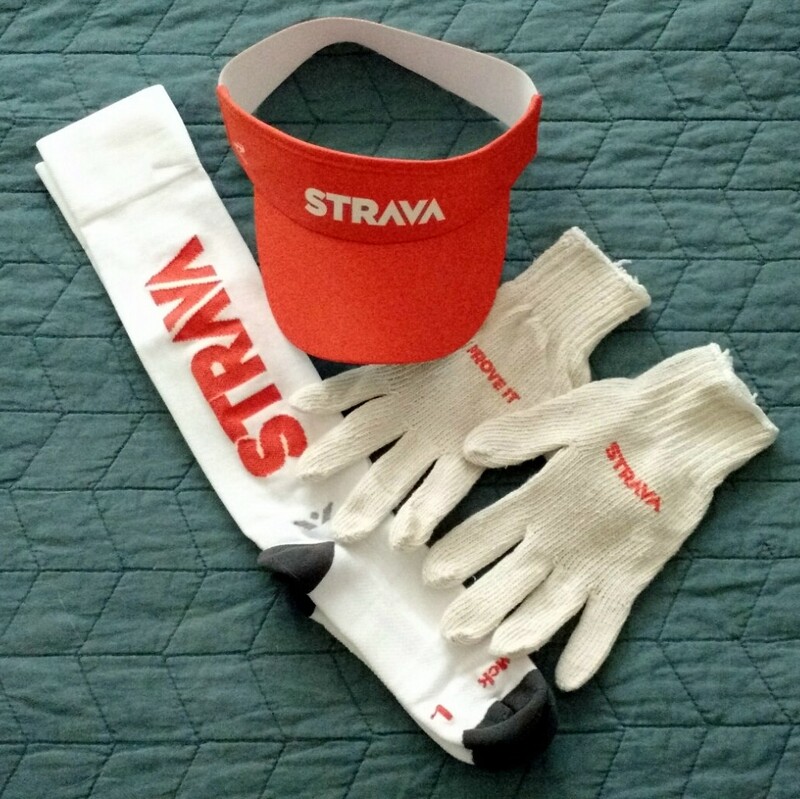 Headsweats visor, Swiftwick socks, and gloves! Later that day, we headed to the expo at the Javits Center. It was huge. The set up allowed people to get bibs and shirts quickly once inside and I was surprised how efficient it was. That said, there was a very long line to get inside the expo. I'm not sure why because they weren't regulating the entrance at all, but I suppose if everyone arrived at the same time it just happened to form a line. Kevin was running the 5K on Saturday, so he picked up his race packet there too. They had a big section of NYC Marathon gear for sale, although I didn't purchase anything and the line for the register looked like it would take at least 30 minutes. I bought a cute NY Running Company T-shirt, some Nuun to get the special NYC bottle, and a Sparkly Soul 'Run NYC' headband; kudos to me for getting out of there without more shopping! On Saturday, Kevin ran the 5K in the rain and I went out to spectate with a few other Oiselle ladies. I didn't take any photos in the rain but had a great time cheering for everyone! Race cheering is so much fun. After that I headed to the Every Mother Counts office for the team brunch, where I picked up my EMC gear and met many of the people I'd been chatting with on the internet for the past few months. I enjoyed the people and hope to see some of my new friends again someday. Kevin's 5K shirt, which was a nice tech shirt. I love my new EMC hoodie. Later I headed back uptown to meet a bunch of Oiselle team ladies for coffee in the Time Warner Center. I loved seeing many people I had met previously and meeting new ladies. Quite a few of us were running the marathon but others would be out cheering for us the next day, some who came to NYC just to cheer! By that point, it was really setting in that I was to run 26.2 miles the next day and I was getting anxious about how much I'd been on my feet. Kevin dealt with my anxiety about not walking anywhere else and met me in the Time Warner Center Whole Foods for a late lunch. The Whole Foods had a pub inside called On Tap, which served craft beer and food. How great is that? The burgers came on pretzel buns and the fries were excellent; a perfect pre-marathon day lunch. The rest of the day was spent resting my legs in the hotel and watching football, then getting Chipotle (conveniently across the street from our hotel) for dinner. I slept very well from 10 pm on that night, pretty unbelievable considering I usually don't sleep well at all the night before a race. Great pics from such an exciting race! I love my EMC hoodie, too! Yay! This is great, Paulette! I'm very impressed that you made it out of the expo without buying anything else; I guess the line would have been a pretty good deterrent for me, as well. 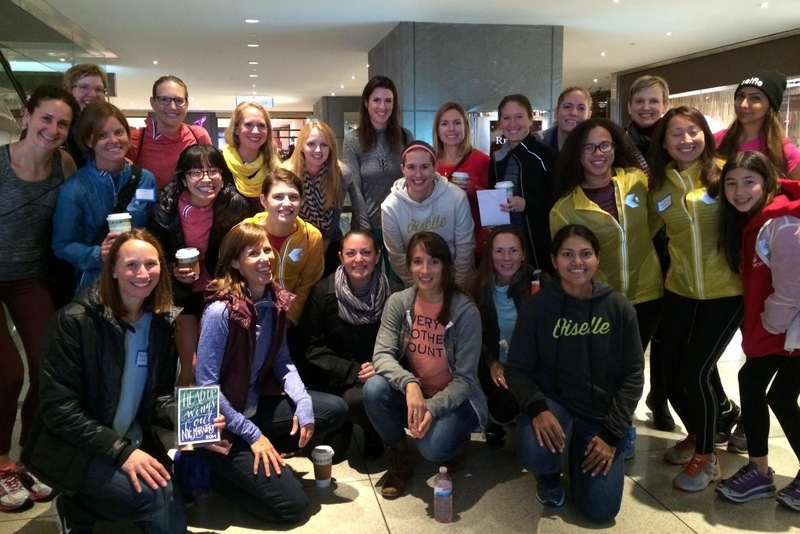 I'm so excited to see your Oiselle Team pics and that you were able to meet some new folks and share in the EMC love, too - what a fun experience! Can't wait to read more...thanks for sharing. Thanks! I'm pretty impressed with my lack of shopping too, haha. Runner. Trail lover. Craft beer enthusiast and cat lady.